Mylan/Alphapharm, the sponsor of EpiPens, has again confirmed there are “intermittent supply constraints” of EpiPen 300mcg Adrenaline (epinephrine) auto-injectors due to manufacturing delays from Pfizer’s Meridian Medical Technologies. While thousands of EpiPens are reportedly being distributed each week via wholesalers to pharmacies, “distribution is being carefully monitored until a steady supply resumes” in order to manage availability on an ongoing basis, says Mylan/Alphapharm. Mylan/Alphapharm adds that stock levels will not return to normal for some months. It has advised that the supply of EpiPen Jr 150mcg Auto-Injector is not affected, however pharmacies are encouraged to check availability with their primary wholesaler. “Patients should be reassured that while EpiPen Auto-Injectors may not be available immediately in each pharmacy nationally, they continue to be distributed and Mylan/Alphapharm are working closely with Pfizer to manage supply,” a TGA spokesperson told AJP this month. “We have received small quantities in sporadic releases,” says Victorian pharmacist Jarrod McMaugh, who added that he recently received only 7% of the quantity he ordered on the first backorder that was filled. In early March, the TGA stated it had organised a temporary supply of a similar product called Emerade from the UK, which was meant to be available in the late March. Last month the PBAC also recommended the temporary listing of Emerade (adrenaline 300 mcg and 150 mcg auto-injectors) to address the current shortage issue of EpiPens. However a TGA spokesperson has informed AJP that this signalled supply of Emerade “did not proceed”. Place an order with your primary wholesaler/s to obtain stock. 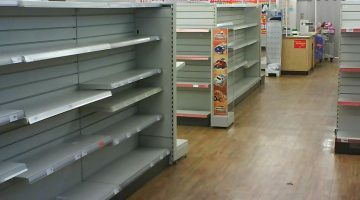 Place an order, even if your wholesaler is showing a stock level of zero, because stock is being shipped continually to wholesalers. 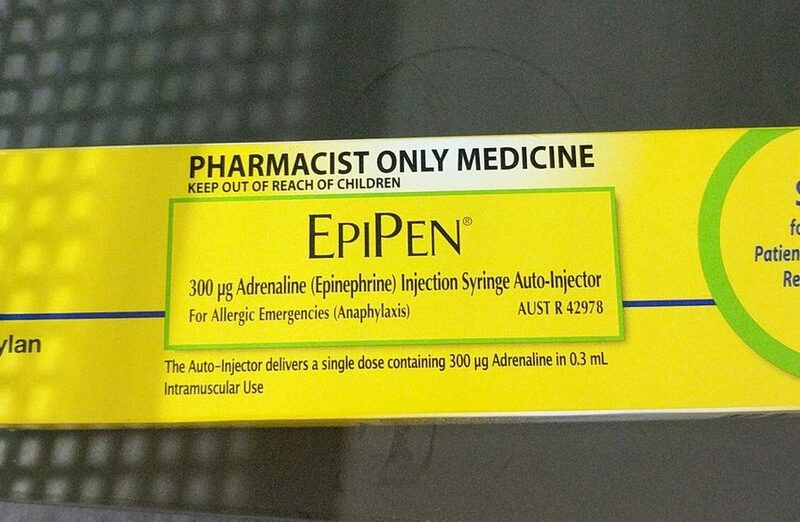 If your wholesaler does not automatically place items on backorder, please telephone your wholesaler and request a backorder of EpiPen® Auto-Injector 300mcg Adrenaline (epinephrine) Auto-Injector. Refresh EpiPen 300 mcg Adrenaline (epinephrine) Auto-Injector orders with wholesalers on a weekly basis, as backorders are being cancelled after any partial shipment of stock to pharmacies. Please note that if no stock is shipped then the backorder is retained for shipment when stock is available. If you encounter any problems with obtaining EpiPen® 300mcg Adrenaline (epinephrine) AutoInjector, phone the EpiPen® Customer Service Toll Free hotline on 1800 931625 or email au.sales.support@mylan.com to obtain instructions on how to access direct supply. 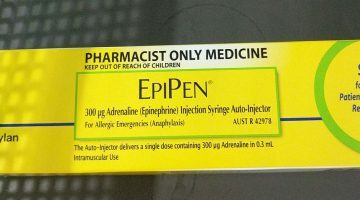 Pharmacies which are required to have an adrenaline on hand for vaccination purposes can alternatively use adrenaline ampoules if they are unable to obtain EpiPen through either wholesalers or directly from Mylan, says the Pharmacy Guild of Australia. Mylan Australia has created a dedicated EpiPen Customer Service Toll-Free hotline on 1800 931 625 and is working closely with the Australasian Society of Clinical Immunology and Allergy, and Allergy & Anaphylaxis Australia. EpiPen contenders on the horizon?